The Arthouse is home to the original Sydney burlesque drawing classes, held fortnightly on Tuesdays. 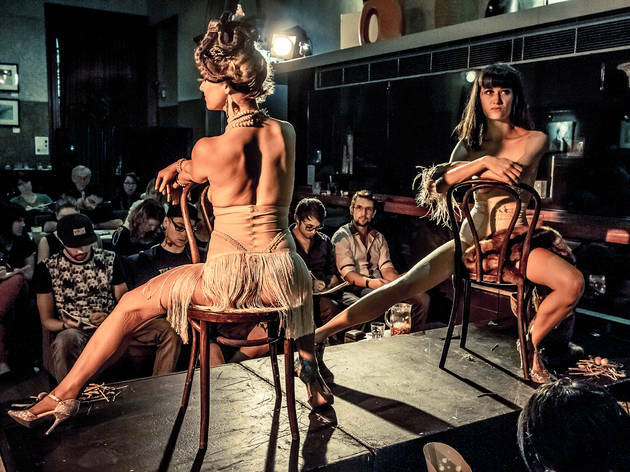 This is a life-drawing class with a twist – the models are burlesque beauties (with a couple of performances thrown in) and the drinks are free-flowing, so you can either come for the art or just for the shows and the ambience. Entry is $20 and includes a complimentary drink. BYO drawing materials, or grab a kit on the night for a mere $5. If you're rushing in post-work, a $50 ticket gets you all the aforementioned plus dinner in Level 1's Graffiti Restaurante from 6pm.